Waltz as far back as you like in history and you will find humanity, always craving proper representation. People, in various numbered groups, have always sought the right figures to lead and champion their causes at every level of human endeavor. Choosing proper leaders requires varied processes. Naturally, time remains bookmarked with countless approaches but one is more ubiquitous than the rest today; the democratic approach. The larger sum of social groups point to the very best amongst them, then pick whoever best embodies their interests at the time. Election cycles have become so interwoven with the fabric of society it is hardly uncommon to see candidates peddling one form of rhetoric or the other. A question that often gets glossed over at such times is this; do people always get the leaders they want alongside the leaders they need? Tragically, electing leaders has manically become a mere popularity contest over the years. Thankfully there are exceptions. Instances exist where the people have selected the perfect fit in terms of their needs. This is because they’ve grasped how to answer the aforementioned question comprehensively. Enter the Nigerian Bar Association, NBA, a body respected and revered internationally, recognized for numerous milestones as well as its commitment to the highest levels of learning and law-making. With another election looming, the necessity of going in the proper direction as a body and consequent implications on the entire nation cannot be lost on its learned members. Picking a president is serious business, not the stuff of afterthoughts. The job description for such an esteemed position would ordinarily seem daunting. Then again, the best men have tackled such challenges for the greater good with ease. This is why Paul Usoro, SAN, glows with such intensity that it is uncanny when taking the measure of the man against the vacancy of the office. Another poser to tackle would be; why him and not the rest? At this point, the average learned colleague would break out a knowing smile running down a mental checklist of his qualifications and suitability for the position. His ambition is recognized across the field and the nation at large but not in the cutthroat manner that so often leads to the downfall of many men. Random conversations where his name is brought up, lead to conclusions that he is different based on empirical points and a track record of immensely impressive competence. From his near meteoric rise at the University of Ife (now Obafemi Awolowo University) where he was the one of the youngest ever Presidents of the Law Society, to becoming the Head of Litigation at Sani Mohammed Kuso & Co and even right up to the point of beginning his own practice, his life has been devoted to the Law itself. Subsequent graduate executive courses at Harvard in Boston and INSEAD in France, amongst others, have armed him with top-of-the-line competencies. It is easy to see why Mr. Usoro’s career has glittered so much so glass ceilings seem like a myth where he is concerned. A renowned litigator who has been involved in at least 321 matters pending in courts till date, he is renowned for his remarkable connection to people from all works of life, he has become endeared to many. His commitment to the NBA has been fleshed out in several ways be it while serving on its National Executive Committee to becoming the first ever Chairman of the Communications Committee. He has sponsored several NBA functions, presented several superb papers at these functions all while ensuring that his firm Paul Usoro& Co, PUC, keeps its commitments to the NBA. For the younger learned colleague, his commitment to inclusivity, mentorship and unhindered succession for them remains undisputed. Known for a sentimental attachment to his own days as a young lawyer, he’s been welded to the idea of ensuring that the welfare of the new hires at his firm, is not just remunerated robustly but are prodded on along the path of sustainable growth in such a way they become success stories of bottom-to-top development at the firm. For the older learned colleague, his work within the NBA and in legal circles speaks for itself. Nonetheless, his famed thirst for knowledge and learning is front and center. Regardless of whatever age you are as a lawyer, Mr. Usoro’s passion to proliferate his experience and expertise has been evident. Several papers he has presented including “E-Legal and Prospects of Litigation in Nigeria”, “Licensing Procedures under Communications Act 2003” as well as “Emerging Nigerian Communications Industry and the Role of Lawyers” have become blueprints referred to by all and sundry over the years. Mr. Usoro’s efforts in Communication Law has since seen him become the go-to lawyer in the field. The Nigerian Communications Commission, NCC, and the now-defunct NITEL have relied upon his wealth of knowledge consistently. The Akwa Ibom State government was so confident in him that they appointed him to manage their portfolio in Airtel in 2001. He has drafted the Communications Act of 2003 alongside several other pieces of legislation including the Mobile Number Portability Regulations of 2014, Coastal and Inland Shipping Cabotage (Bareboat Registration) Regulations of 2005, Council for the Regulation of Freight Forwarding in Nigeria Act of 2007, to name just a few. He’s currently involved in the ongoing draft for a law establishing Liability Regimes for Land Transport in Nigeria. Clearly, he has not just devoted himself to fine-tuning the laws of the land in the past but continues to do so even today. 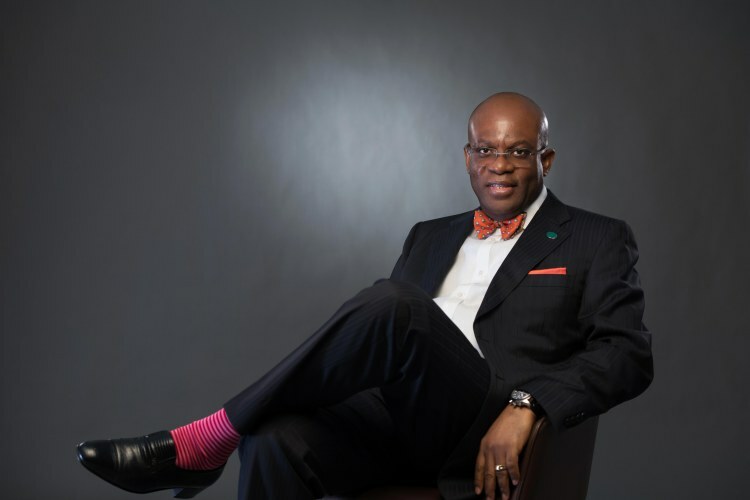 His corporate and State links rank him at the zenith of the law profession with legendary cases including the controversial Bank Verification Number, BVN, tussle between 18 commercial banks and the Central Bank, the Supreme Court oil well dispute that affected Akwa Ibom, Rivers and Cross Rivers states, several pre-election lawsuits, the Power Holding Company of Nigeria vs the Lagos State Government and even the case where he ensured a multinational oil servicing company got its fair share of judgement sums totalling millions of Dollars. Furthermore, sitting on the boards of blue-chip companies as varied as PZ Cussons PLC, Airtel Networks Limited, Access Bank and even Nigeria Bulk Electricity Trading PLC on the request of former President, Dr. Goodluck Jonathan amongst others, the master strategist Mr. Usoro is well respected for his immense business acumen and transactional prowess. His work with social responsibility from sponsoring several sporting events for lawyers to doing pro bono work alongside a genuine interest in public service has shown his ability to not just be an exemplary professional but also fantastic human being. Little wonder, his decision to throw his hat into the ring for the NBA Presidency has brought forth so much joy from all and sundry. Reeling out achievements is one thing, helping those who need a specialized skillset remains another altogether. 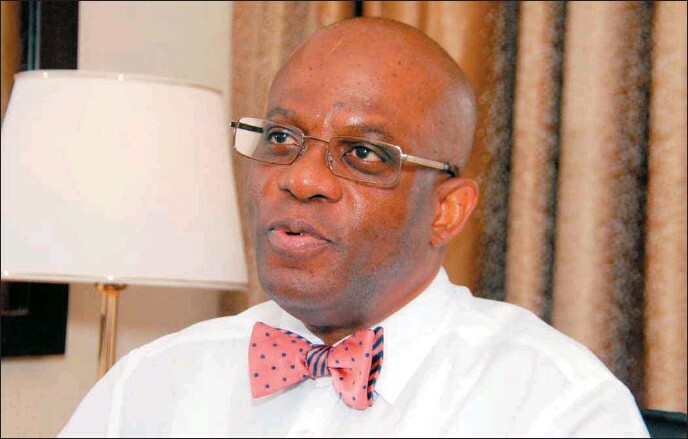 With the NBA presidency vote looming, it is quite clear how iconic Paul Usoro’s footprints are and precisely where they should lead.